Intro from Jay Allison: A question comes up among our students at Transom: "How do I reconcile my personal convictions with my role as a journalist?" They want to know if they can advocate, but keep their credibility. They wonder how to be fair, while speaking plainly about the roiling times we're in. They want to address the visceral challenges to journalism's comfortable suppositions of the recent past. Bill McKibben, in an extraordinary way, juggles the roles of journalist and advocate (and even novelist sometimes). He has written non-fiction books galore, contributed articles everywhere, has even made radio (including for Transom, which he helped brainstorm and kickstart almost twenty years ago). Bill is also one of the most significant figures in the climate change struggle (from "The End of Nature" to 350.org), while he continues to work as a journalist. We asked him, "How do you pull this off?" In his Transom Manifesto, he answers. This is an important guide for any of us navigating great shifts in the connection between the press and the society it serves. I wrote my first book when I was 27, but by then I’d already been writing regularly for money for 14 years. Not much money, necessarily — the first few years it was 25 cents a column inch for covering junior high school sports (a pay rate that discourages concision), and not always for money (I’d written nonstop through my college years on the campus paper, in essence paying the university for my volunteer job). But the point is, I was a pro — I’d fully internalized the twentieth-century pre-internet idea of what a reporter was, someone who faithfully and neutrally told both sides of a story, with a dispassionate interest in the outcome. There was — and is — a code, and it runs deep: if you cheered in the press box at a basketball game the other reporters would look over at you and frown. Truly. So imagine what it was like on the press bus during a presidential primary. The Washington Post discouraged reporters from voting, lest they develop an unwanted internal sympathy with one party or another. So, imagine my confusion as I wrote that first book, which was also as it turned out the first book for non-scientists about climate change. In some ways I was using all the traditional tools of my craft: calling up experts of all types, reading studies and reports. But the story I was learning horrified me. It became abundantly clear as I was writing it that I had taken sides: that I manifestly did not want the world to overheat. That I was not impartial: the greenhouse effect, as we called it then, scared the hell out of me. I remember going out to lunch with a prominent New York Times editor who wanted to hire me, and I remember being tempted, and I remember thinking: this will not work. You can’t be a person who takes sides, and also a New York Times reporter. My childhood dream, and life plan, had reached a clear end. But that was as nothing compared to the revelation that would come a decade or so later. I spent those first ten years as an author authoring. I wrote more books, and opined regularly, and gave speeches, and was generally earnest and concerned. But I was still well within the normal framework of what we’d now call, grandiosely, the public intellectual. I was operating on another, related code: that if we assembled enough data, wrote enough articles, sponsored enough symposia, we would eventually win the argument, at which point the powers that be would take action and make the changes needed to avert disaster. If you have a word processor (which is what we had in those ancient days), then every problem is best addressed with words. I wrote about each new study, each new record temperature. Surely soon it would work — that was the heart of my faith. At some point, however, it became clear that that this approach was not working, at least for the crisis we were by now calling global warming. The scientific community had reached essentially full consensus: researchers had set up the Intergovernmental Panel on Climate Change, a massive volunteer effort that reviewed all the studies and synthesized them into a massive report for politicians. By 1995 they were stating baldly that climate change was real, bad, and caused by humans. But as the years went by, nothing much happened. The remarkably mild Kyoto accords, reached in 1998, were nonetheless too much for our Congress, which voted them down. Carbon emissions continued to rise unabated. Nobody powerful was intervening to keep the planet from cracking up. And the answer to that conundrum, it began to belatedly dawn on me, was that we were not having an argument at all. We were having a fight. And fights are not about reason and data and research. Fights are about money and power. The other side in this fight was the fossil fuel industry, the richest industry in the history of the world. We know a good deal more now about exactly what they were up to. Great investigative reporting from Inside Climate News and others has made clear that the oil industry knew all there was to know about what we were now calling climate change back as far as the 1980s — how much it would warm, and how fast, and with what consequence. Exxon, for heaven’s sake, was building its drilling rigs to compensate for the rise in sea level they knew was coming. But instead of telling the rest of us what they knew they had, they spent hundreds of millions of dollars constructing a whole architecture of deceit and denial and disinformation that amounted to the most consequential lie in human history. A sense of how well it worked can be gained when you remember that the current president of the United States professes that climate change is a hoax manufactured by the Chinese, a belief that if you heard someone muttering it on a public bus would cause you to change seats. We didn’t know all that back in, say, 2005, but it was clear that the old mental models of change were not working: having won the argument, we were losing the fight. And so I found myself slipping into advocacy. Before long I had helped found what became the first global grassroots climate campaign, 350.org, with the avowed mission of building a mass movement to build power to counterbalance the influence of the Exxon’s and the Koch’s. And soon after that I was sitting in a jail in Washington DC, having written a call to nonviolent arms that resulted in the largest civil disobedience action in many years in this country, in protest of a pipeline across the nation. If you’ve gone from wondering whether it’s okay to vote to sitting in a jail cell on behalf of your beliefs, you’ve gone a distance. There are cases where neutrality is truly bad journalism. Climate, again, is the paradigmatic example. For the better part of three decades (and occasionally still now) the old method of airing “both sides” of a story did a tremendous disservice to readers and listeners. You’d read a story in the Times, and there would be a quote from a scientist representing the mainstream, and then a quote from the tiny band of dissenting scientists (some of whom, we now know, were in effect on oil company payrolls). This had the effect of suggesting to the audience that the science was not settled, when in fact it was. Audiences became stupider about climate change over time, even as scientists became clearer. If you’re going to be both an advocate and a journalist, it is incumbent on you to be not just honest, but to bend over backward to make sure you understand the subject completely, present any caveats carefully, and refrain from overstating your case. It’s never necessary, and it’s always dangerous to exaggerate — the damage you do to your credibility, and to the credibility of the movements you belong to, is enormous. Assume (correctly) that you have a well-paid cadre of fact-checkers on the other side waiting for you to slip up, so make sure you fact-check yourself with true diligence. Make sure you identify, at every turn, the fact that you’ve taken sides. I make sure that the bio at the bottom of pieces I write states my affiliations, and that I lard the piece itself with the appropriate references. If I’m writing about fossil fuel divestment, say, I make sure that I include the fact that I helped launch the campaign. Not to boast, but to make sure that everyone knows. If you can — and not everyone always can — it’s nice not to take money from the advocacy organizations you belong to or represent. I’ve been lucky. My books sell; I can teach and lecture; and I live out in the woods. So I’ve never been paid by the group I founded, or by any other environmental group. Not everyone, obviously, is so fortunate. And of course, it comes at a cost. I can’t be a beat reporter about climate change, and some people will always read me as an advocate, not an honest voice. You lose something, even as you gain, in this case, the ability to speak a little more honestly. Though, I must say, other journalists continue to respect good reporting and writing; and there are plenty of outlets that don’t have old school Washington Post-type attitudes. I think I’ve written about climate change for the New York Review of Books every year since 1988, for instance. I still feel like a journalist to me. All these points are a way of saying that, to the extent you’re a writer or broadcaster or podcaster or blogger or whatever the next iteration of our profession is going to look like, your ultimate loyalty has to remain with the reader, the listener, the viewer. It’s just that the old ways of insuring this — a studied neutrality — no longer seem to work, at least in extreme cases like climate change. The trick, I suppose, lies in figuring out what those extreme cases are. And here the Trump era is making life hard. It seems to me that the president represents a fundamental break with the past. He’s not just a president that I utterly disagree with — that would be George W. Bush or Ronald Reagan. He seems to me uniquely dangerous in his rejection of the customs that have served to moderate, to one degree or another, the exercise of power, and in his effort to divide the nation. For one thing he lies constantly. And so he seems to me a new challenge for journalists and for journalistic institutions. Covering him as if he were a normal president is, in the long run, as deceptive to an audience as covering climate change as if it were a normal ‘both sides’ story. But we have such a long tradition of studied neutrality in our journalism — such a reflexive and instinctive bend towards neutrality — that it is hard to break. I’ve been impressed over the last two years watching The New York Times and The Washington Post. They’ve managed to convey — in their news coverage as well as on their editorial pages — that there’s something abnormal about Donald Trump and his rule. They’ve figured out ways to make clear that he’s not offering a different take on some policy but that he’s lying; they’ve covered his presidency in some sense as the emergency that it is, and they’ve done so without, I think, compromising their core commitment to accuracy. In fact, they’ve been more accurate as a result. By contrast, the flagship NPR news shows seem to me to have passed this test less well. Not only do they break remarkably few stories given their resources, they more importantly make it sound as if we’re living in normal times. I mean ‘sound’ literally — to listen to the newscast each hour, reporting what Trump says in the same general way and with the same radio voice that it covered Obama or Clinton or Gerald Ford manages to convey the opposite of our actual reality. It manages — like those decades of flawed climate coverage — to be ‘objective’ without actually being accurate. I understand the pressures that it’s under, some of them unique given its government funding. And many of its programs are doing a fine job of helping, say, blue state urbanites understand what the world looks like from rural America. Perhaps that’s all one can legitimately hope for. I wish I had something more direct to say to podcasters, because this emergent art form has all my affection. (It’s why I played my small role in the founding of Transom all those years ago). The good news, I think, is that the podcast ecosystem is so remarkably diverse that just about anything is possible (including a rising tide of commercial crap, but that’s another manifesto). In any event, and oddly, I find myself still drawn to the idea of accuracy that I started with all those decades ago. In a world poisoned by deliberate misinformation, it’s never been more important. It’s just that the ways one might deliver an accurate view of the world to our audience have shifted, perhaps decisively. 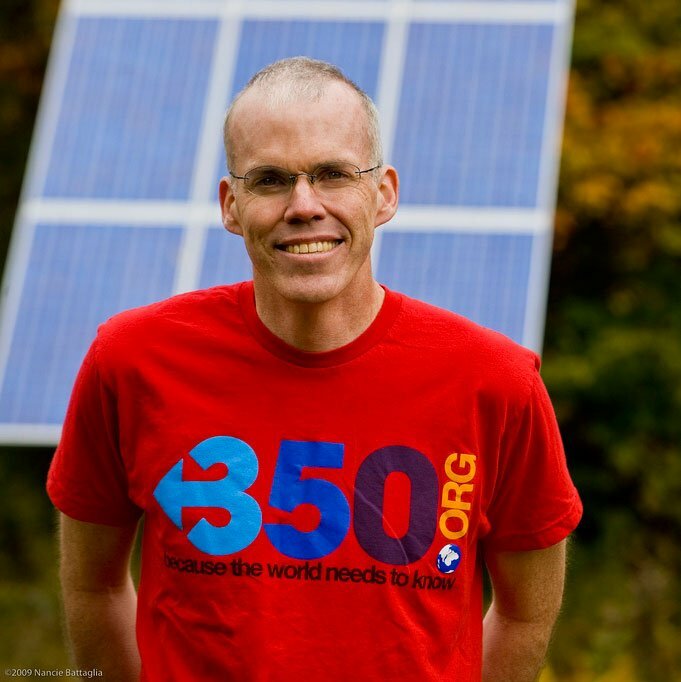 Bill McKibben is an author, environmentalist, and activist. In 1988 he wrote The End of Nature, the first book for a common audience about global warming. He is a co-founder and Senior Advisor at 350.org, an international climate campaign that works in 188 countries around the world. His new book, Falter will be available starting April 15th. Thoughtful piece Bill, and now required reading for my journalism students. Looking forward to your book next month. many thanks–and for all your manifold good work! Nice! I’ve recently returned to journalism as a small-town newspaper reporter and columnist in the Wild West. I find that nowadays there is more acknowledgement of the “pay to play” aspects of newspaper coverage (the editor will tell you outright that he won’t run a story on your new business unless you’re an advertiser, for example); part of me is appalled, but part of me is pleased with the transparency.